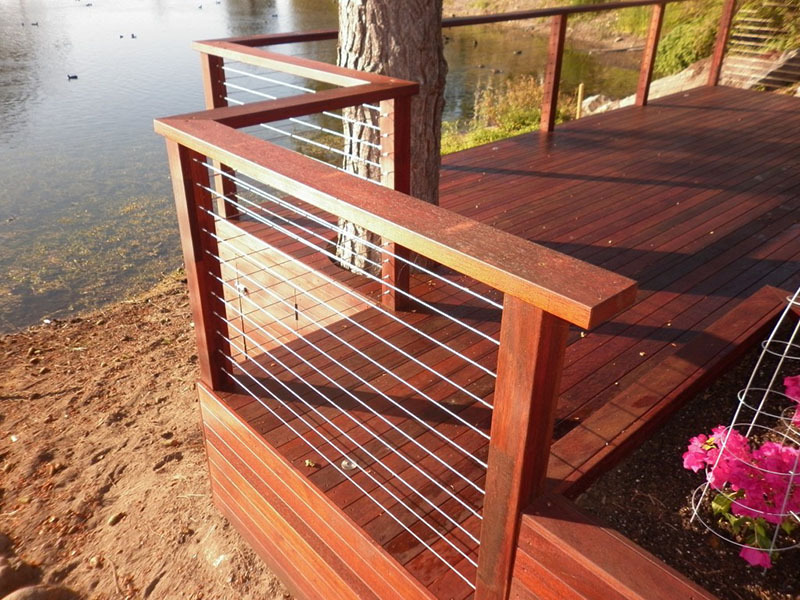 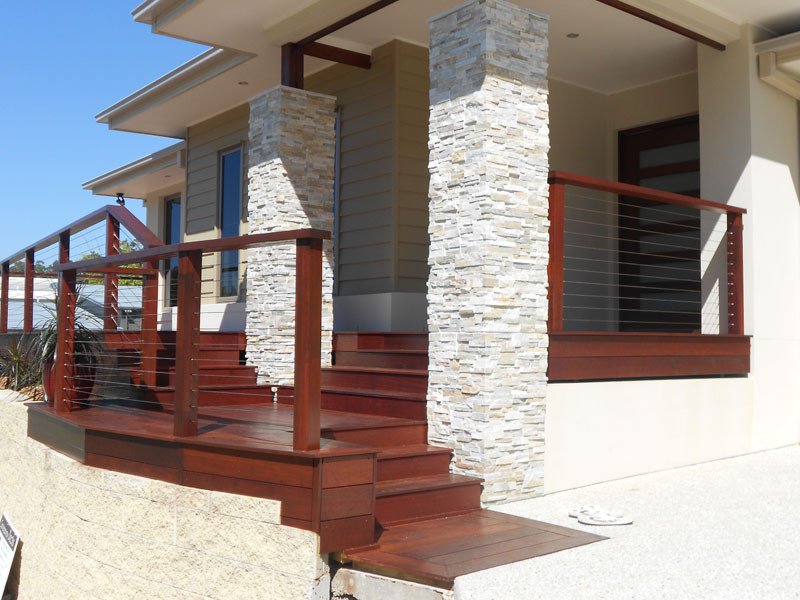 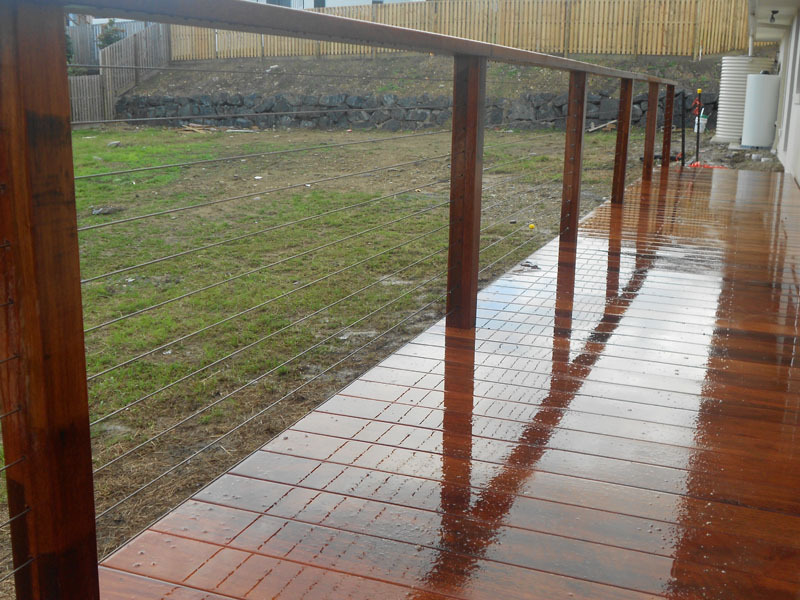 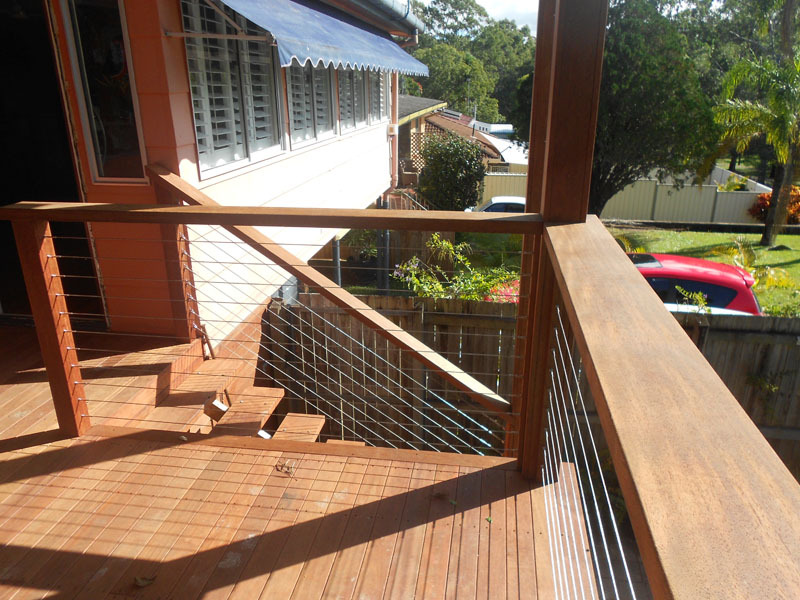 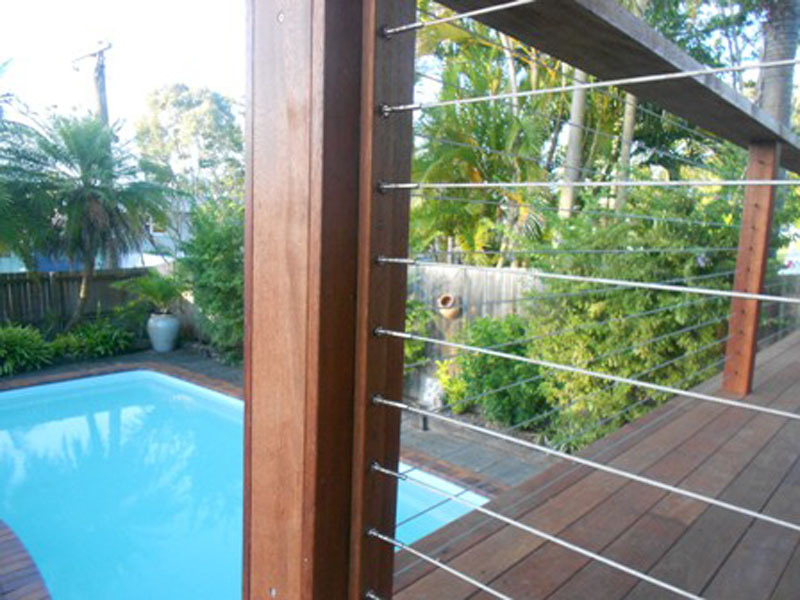 Stainless Steel Marine Wire is one of the most visually complementary balustrading materials to be used in conjunction with Hardwood timber materials. 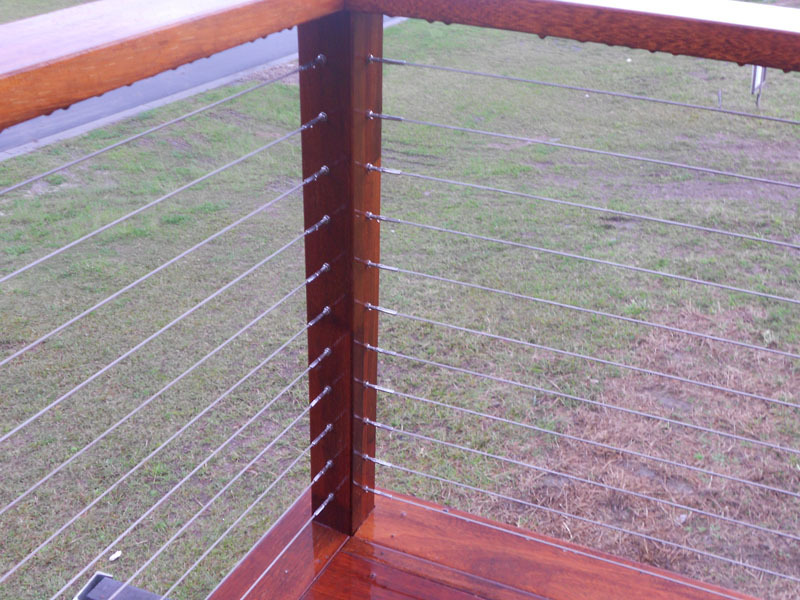 Stainless Steel Marine Wire provides a modern and stylish look, and it is practically maintenance free. 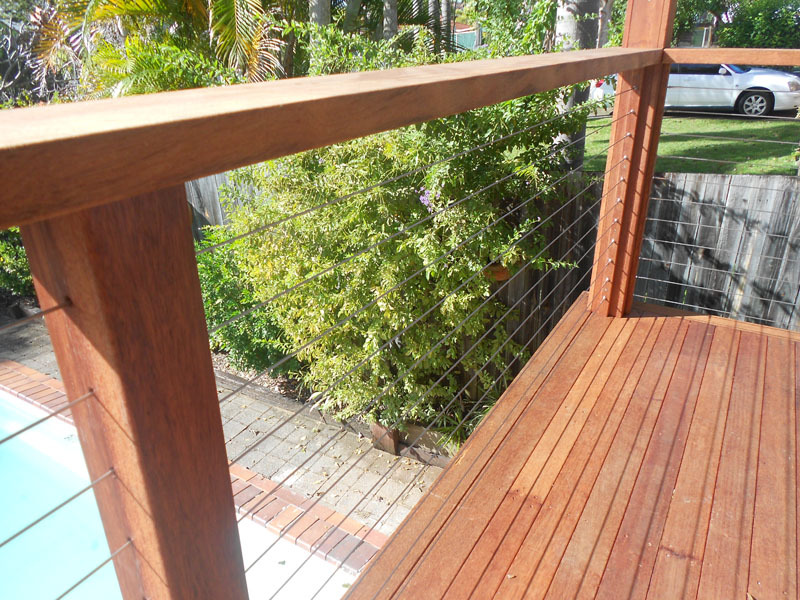 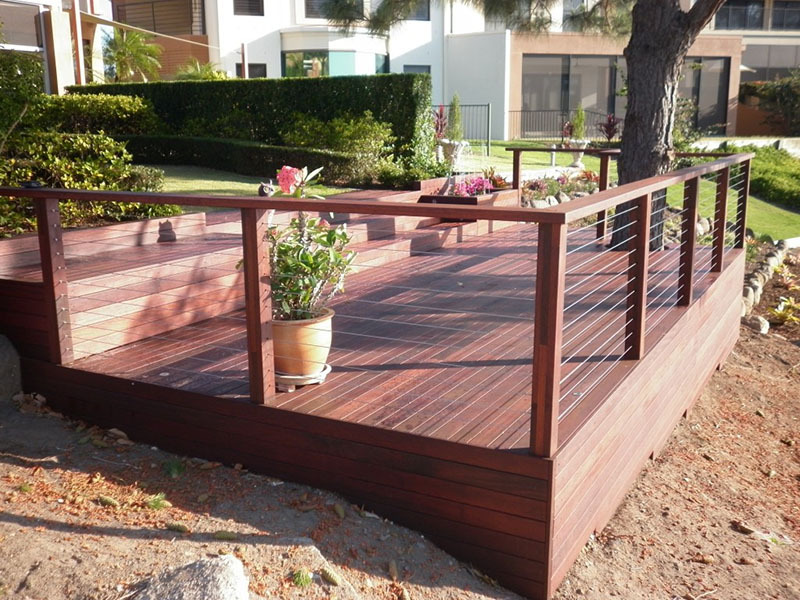 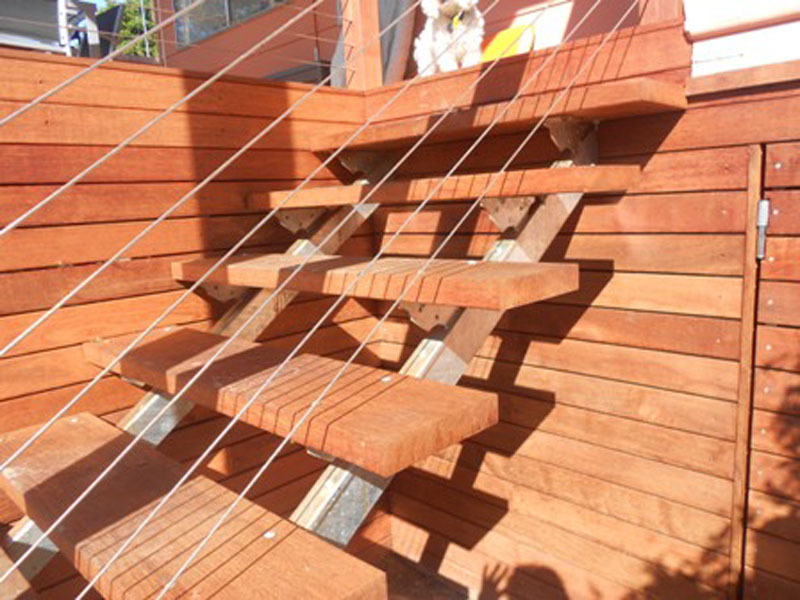 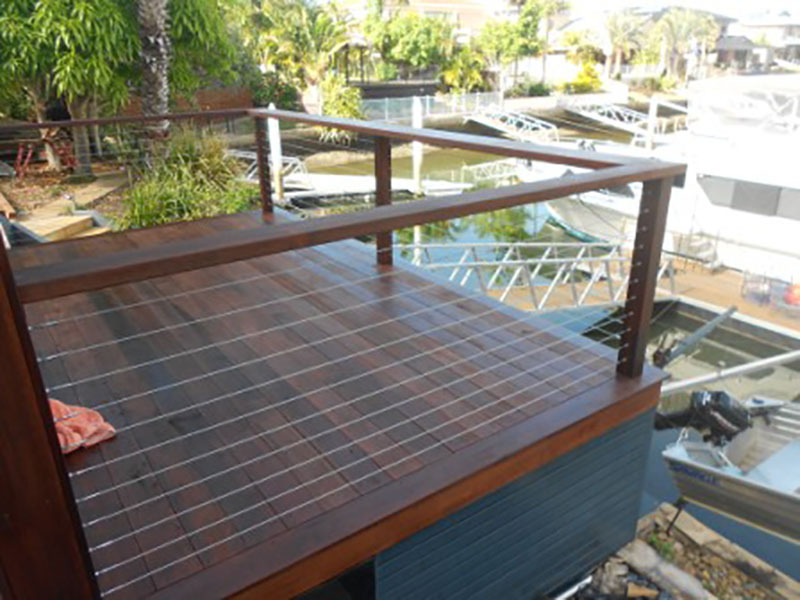 Contemporary Decks only uses a threaded insert system for Marine Wire Balustrading simply because of its unique seamless look and robustly engineered components. 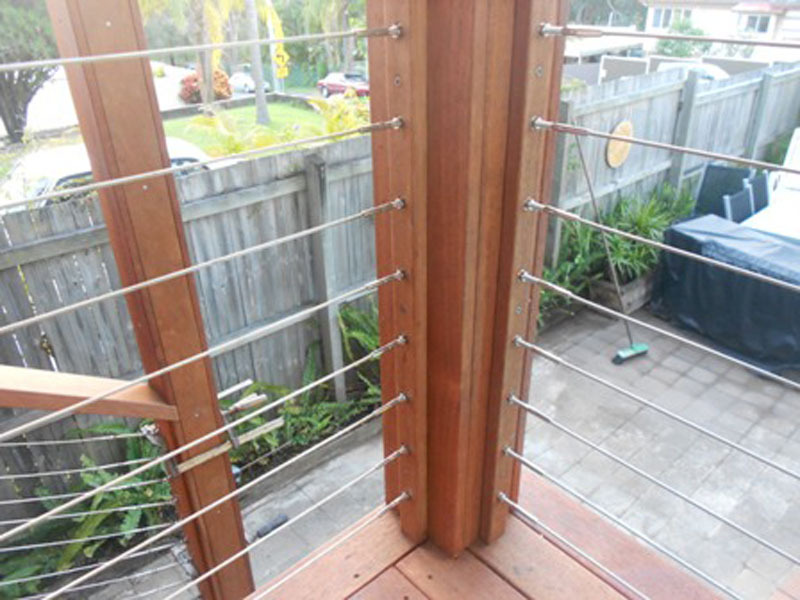 Big ugly turnbuckle tensioners are a thing of the past with our contemporary wire systems. 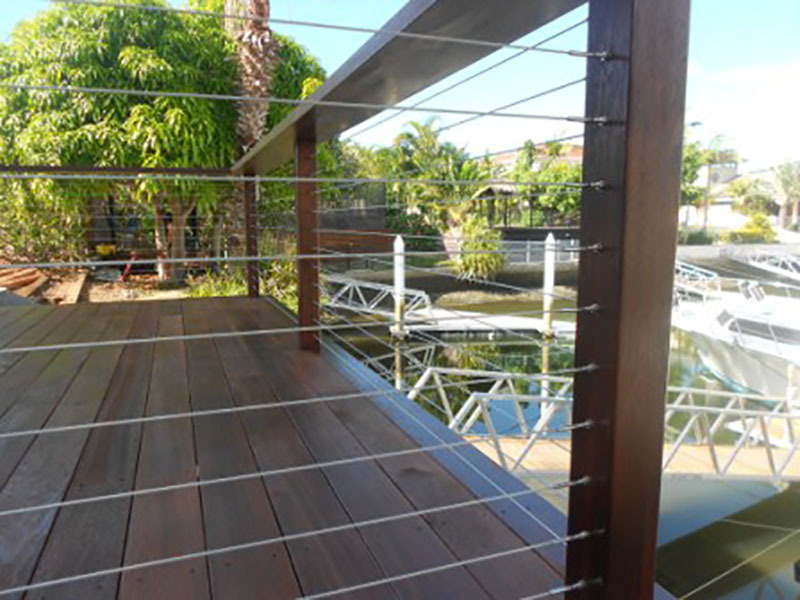 All components of this system are 316 stainless steel for durability and longevity in the harsh Queensland environment.